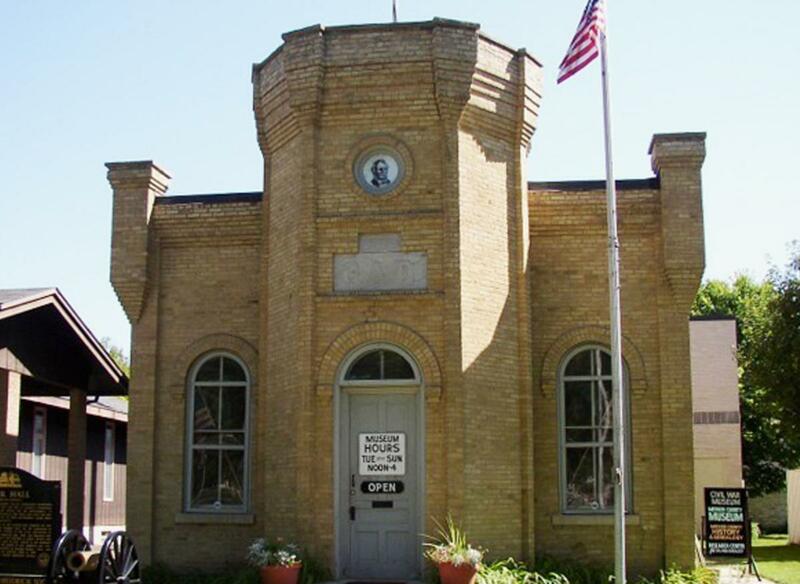 After many attempts at obtaining a National Headquarters for at least 100 years now, we can now call the MilitaryMuseum on the campus of the Ohio Veteran’s Home our new “Headquarters.” The Ladies of the Grand Army of the Republic has had a long and close association at this location. Well into the 1920’s the annual appointment of an “Entertainment Committee” was made to participate in all holidays and special events. At least one visit was made yearly by our Ohio Department President to present gifts of cash as well as donations of thousands of items. On June 2, 1922 the General M.F. Force Circle #86, LGAR was instituted at the home, and in April 1976 we instituted the Robert Burns Brown Circle #103, thus recognizing the two men most influential in establishing the Ohio Veteran’s Home. We were honored to include Commander Brown’s daughter, Margaret Brown Kearney, as a member of our organization. Over the years we have left visual evidence of our support in the form of such things as the 1930 pillar at the entrance gate, the bandstand, and a bronze plague presented on the occasion of the home’s 50th anniversary in 1938. The LGAR Headquarters room is patterned from a late 1880’s LGAR meeting room, which was/is based upon the original Grand Army of the Republic meeting rooms, with stations for the Altar, Senior Vice President, Junior Vice President, Chaplain, Patriotic Instructor and head table (desk) for the President, Secretary & Treasurer. The stations on loan in the room are from an original G.A.R. Hall. Other furniture pieces in the room include locking display cases and book shelves, file cabinets of archival material that consists of genealogy for all LGAR members detailing their Civil War Veteran that they joined under, and original chairs that came from the LGAR Swissvale, PA Veteran’s Home. Additional items include pictures from 1881 to present of LGAR Officers & members, a display of badges used through the decades, framed charters, photo albums and scrap books, a collection of proceedings from 1881 to present, original dyes & stamps and an original set of the “Bugle Call” our national newsletter, and much more. 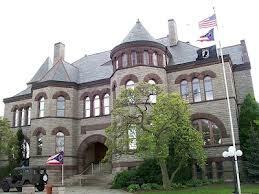 It is the intent of local members in Ohio to participate at the Museum when there are special events/weekends, to be present during any Civil War Living History weekends, and to assist visitors with questions, genealogy assistance or education. our new National Project! Pets for Vets is a National Nonprofit Organization dedicated to providing a second chance for shelter dogs by rescuing, training, and matching them with American Veterans who need a companion pet. Many brave troops return home with scars – both seen and unseen – that make it difficult to transition back to civilian life. At the same time, millions of wonderful companion animals wait in shelters for a forever home. Pets for Vets is the bridge that brings them together. When a Veteran is matched with the right pet, both lives change for the better. The Veteran saves the animal and welcomes him/her into a loving home. The pet provides the Veteran with unconditional love and support, easing stress, depression, loneliness and anxiety. Together, they share a Super Bond™ that provides them both with a whole new “leash” on life. As of right now, we are asking for monetary donations or gift cards to chain pet stores to be sent to our National Secretary. Donations should be made payable to LGAR National Organization with Pets for Vets in the memo line. Your contribution directly impacts each Veteran-pet match by providing a Welcome Package filled with all the equipment necessary to start the match’s new life together. With these basic needs already met, the two can immediately begin building on their Super Bond™ to create a lifetime of love, loyalty and trust. More information on how you or your Circle can help will be available soon! If you would like to learn more about this wonderful organization, please visit the website below. All are invited to participate in the 63th Annual Lincoln Tomb Ceremony, sponsored by the SUVCW and MOLLUS, commemorating the 154nd Anniversary of President Lincoln’s death. It will be held at the Lincoln Tomb in Oak Ridge Cemetery in Springfield, IL at 10 AM on Saturday, April 13, 2019. Headquarters Hotel: President Abraham Lincoln Hotel, 701 E. Adams St., Springfield,IL 62701. The room rate is $102.00 for single - quad. A10% dining discount at Lindsay’s Restaurant is included. Call 1-866-788-1860 for reservations and mention “Sons of Union Veterans”. Reserve your room by March 22, 2019. After this, the remaining blocked rooms will be released. Wreaths may be ordered from local Springfield florists. Instruct the florist to have the wreath delivered c/o the Lincoln Tomb, Oak Ridge Cemetery, Springfield, by 9 AM on Saturday, April 13th. Luncheon will be held at the President Abraham Lincoln Hotel at 12:30PM. The luncheon program will feature a talk by Mary Todd Lincoln on "My Side of the Story". Luncheon cost is $35.00 per person. For event info, go to the click here or contact Robert Petrovic at: rpetro7776@aol.com or 636-274- 4567. 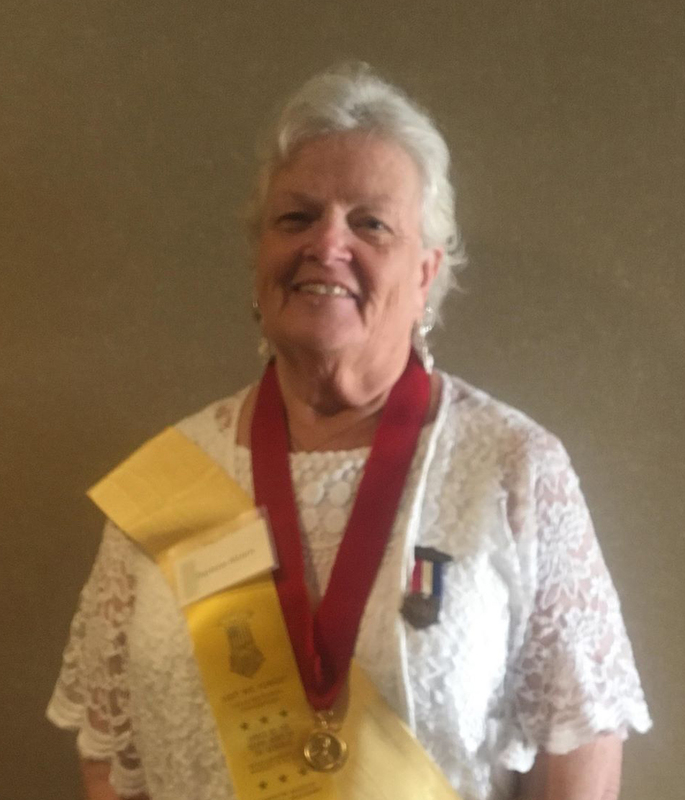 National President Darlene Alcorn resides in greater Pittsburgh, PA, and is active in her area having volunteered with an EMS station, the Boy Scouts, VFW Auxiliary, VW of America and the VA Hospital. Darlene’s talents include being a florist from 1968 to 2004, as well as being a lay teacher for three years in a Catholic School, was a paramedic on an ambulance for 10 years as well as a care giver. Dar continues as a life member of her college sorority. Her Allied Orders involvement include serving the Auxiliary to the SUVCW as Quartermaster and the DUVCW as Department President and National Secretary and Press Correspondent. Dar has been active in the PA Department of the Ladies of the G.A.R. and presently serves as their Department President, while receiving the Dr. Mary Walker award on the Department level. Darlene has served our NationalOrder in several national offices and is ready to foster a growth of this organization. Dar has enthusiastically embarked on her new duties and is looking forward to greeting many of you in her travels this year. The National Brochure is available here. Checks should be made payable to "National Organization, L.G.A.R." Please contact National Treasurer for shipping cost prior to submitting your order. Below you will find several links for the Report Blanks that are necessary for the organization as a whole. If there are any questions or concerns please contact the National Secretary.